Since the year 1996, the Ford Expedition has been known as one of the world’s most dependable names in full-sized SUVs. Years of engineering and generations of improvements have breed a vehicle that will never fail to open up the world for those that love to explore it. In 2018 the Ford Expedition is equipped with a beastly engine which can tow almost anything, and luxury features for entertainment and safety that will feel like home is never far away no matter how far you travel. It also gained recognition as one of the longest lasting vehicles on the road with a large percentage reaching over 200 thousand miles. The 2018 Ford Expedition is the most high-end SUV that Ford has to offer the driving community. At 210 inches in length, the 2018 Expedition fits an impressive eight people and is the largest SUV options on the current Ford lineup. Whether its passengers or cargo, you as a traveler of great distances will have all the space you need to feel ready for anything. So, if you desire something commodious and at a level of dependability that takes years to perfect, then Ford Expedition of 2018 will have you driving the distance with complete contentment. 210 inches length plus 84 inches in width plus 76-77 inches in height equals a whole lot of vehicle to love. The 2018 Ford Expedition is a full-sized SUV and as such has a duty to be spacious yet convenient. 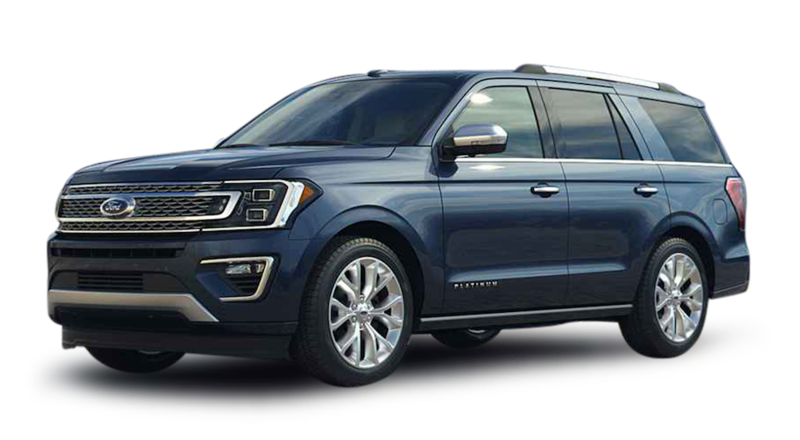 With the 2018 Expedition, you are practically getting the utility of a wagon or van with the modern day sleekness and style of your everyday SUV. Even without losing a single inch of the comfortable seating for eight by easily folding second and third-row bench, you will have 20.9 ft³ of cargo space. If you take those benches away though, you have a massive 104 ft³ to store almost anything you can imagine from bikes to boxes. In addition, if you upgrade to the 2018 Ford Expedition Max, you will gain an entire 16.6 ft³. Overall, the 2018 Ford Expedition leaves enough room to bring anything you may need for the long journey ahead. Not only is the 2018 Ford Expedition spacious beyond your dreams, it is also amazingly organized and protected with the available advanced cargo management system. Keep all of your precious cargo securely in place and easy to access with the adjustable shelving and a cargo floor in the trunk area. Basically, whatever you want to store will go wherever you need it to go. What is even more amazing about this cargo system is that even while on a hill you can be assured that these items will not fall out once you pop open the door. The hands-free Liftgate system will also make your life easier by allowing you gain access to your trunk area with just a small kick of the foot. When it comes to the 2018 Ford Expedition, capacity and convenience always come together in harmony. The 2018 Ford Expedition, when it comes to performance ability, is focused and pushes the limits of full-sized power. The 3.5L EcoBoost V6 engine is the one and only star power source for this powerhouse of an SUV and with good reason. With up to a high of 400 horsepower and a towing capacity of 9,350 LBS when properly equipped, you will never desire for more as you journey through every terrain. Also, if energy is your concern then the 23.3-gallon fuel tank, battery saver, and auto stop-start tech will save you all the energy you need in every area. The 2018 Expedition offering only one engine option also displays true confidence and understanding about the power capabilities, so you can be sure you are getting the best output. Also, you can be assured you are getting the best from the start. Not only is the 2018 Ford Expedition powerful and focused, it also handles like a dream. Even the most standard trim level offers a 10-speed automatic transmission and rear-wheel drive or 4×4 drive. Not only that, you will also get a long list of features such as stability tech, terrain management system, driving options, traction control, and sway control for all your basic driving and towing needs. As a response to the Chevy Tahoe, the Ford Expedition was born in the model year of 1997 as a SUV that would dominate at the larger end of the spectrum. The Expedition took a lot from the Ford’s large and in charge F-150 pickup and used much of its best qualities to get the most out of this new beast of an SUV. In addition, the Expedition can even be considered the successor for the Ford Bronco. This model became a strong option for many from its remarkable beginning and has only grown in power, accessibility, and dependability ever since. The Ford Expedition has gone through three generations and has just entered its fourth generation in 2018. The first gen was 1997 to 2002, the second gen was 2003 to 2006, the third gen was 2007 to 2017, and now the fourth gen just hit in 2018 with a whole new design. Throughout these generations, a substantial amount of amazing changes have been seen. One of the more interesting changes is that before 2009 you could fit up to nine passenger instead of the eight of the 2018 model, but as safety and comfort become more essential the front seat being a bench become impractical. Today the 2018 Ford Expedition really starts the new generation off strong with a new design based around material made of boron steel and aluminum that will not only be strong but also light enough to keep things smooth. Also, with the King Ranch trim out of the picture, the XLT, Limited, and Platinum trims step up to make sure the 2018 Expedition still keeps every type of buyer satisfied with affordable pricing options and optional seven-passenger seating for those who desire a little less. The history of the Ford Expedition is a journey of in its own right, but the 2018 Ford Expedition is ready to ride into the future. We appreciate your interest in our inventory, and apologize we do not have model details displaying on the website at this time. Please fill the form out below and our team will quickly respond, or, please call us at (518) 375-2163 for more information. 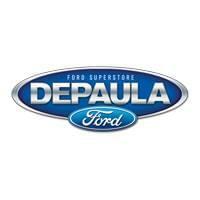 Come down to DePaula Ford! At DePaula Ford we will leave you shocked by the raw size and pure quality of our vehicles. We have a vast supply of trucks, cars, and top of the line SUVs which we promise will meet your satisfaction. We also offer a large selection of certified pre-owned vehicles so you can find something that is both affordable and safe. Not only do we have the material resources though, but we also have the mental resources which can provide you with endless amounts of useful automotive information brought to you by our friendly, informed, and invested staff members. Whether you want something speedy, stylish, or spacious, we have got the perfect fit. If you decide to stop by our friendly dealership at any time, you will become an instant part of our automotive community as a loyal and respected customer. As a member of this community, we will do everything within our power to provide you with the convenient, candid, and customer-centric experience that will be custom fitted to you your needs.